During 2017 and 2018 the remaining amount of the $9 million of bond funding from 2015 plus all pavement management and drainage funds were exhausted to complete 2.4 miles of road improvements (1.2 miles milled and paved, 1.2 miles reclaimed and paved). In addition, in 2018 pavement work was completed on the Thrall Avenue Road Reconstruction Project (1.2 miles) as the final part of construction on the $1.1 million LOTCIP funded project. While there is no funding available for road projects at the present time, $700,000 of the $900,000 pavement management funds requested in the budget process for road work would be available after July 1. This funding, if approved, would be used for a combination of mill and pave projects and crack sealing. 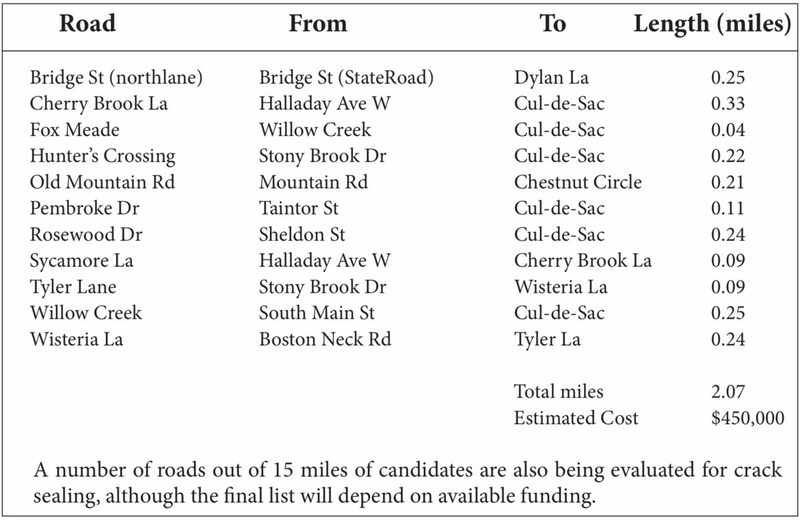 A little over two miles of mill and pave projects proposed would include the roads listed in the table below.